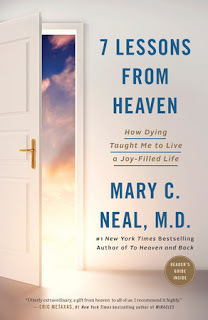 7 Lessons from Heaven: How Dying Taught Me to Live a Joy-Filled Life. Mary C. Neal, M.D. 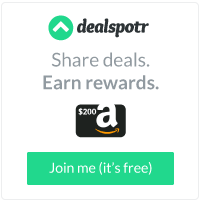 7 Lessons from Heaven is divided into two parts. The first part envelopes the death portion. The second part is comprised of the fugue. As a whole, it's almost a masterpiece. For whatever reason, when I picked up the book to begin reading it, I only wanted to get to the death part. For whatever reason, that alludes me now, that's the part of the book for which I am most intrigued. This was also a bit frustrating, as Dr. Neal only offers bits and bits of it, at first. It's not that the book isn't good reading. Because, it is. It's easy reading, too. Dr. Neal doesn't talk over anyone's head or use language which would keep your fingers rested on Thesaurus.com. Thoughts and concepts are well-timed and well-woven. 7 Lessons from Heaven reads like a tele-novella, in a delightful way. It doesn't seem fair that someone with a wonderful family, a successful career and living a well-rounded life can be that good at writing too. But, that's the case. The lessons are also efficiently managed. You have to greet the wisdom and insight therein for the whole that it is. Very good!